Attention vegetarians, vegans, and lovers of all things organic: Have I found the brewery for you! 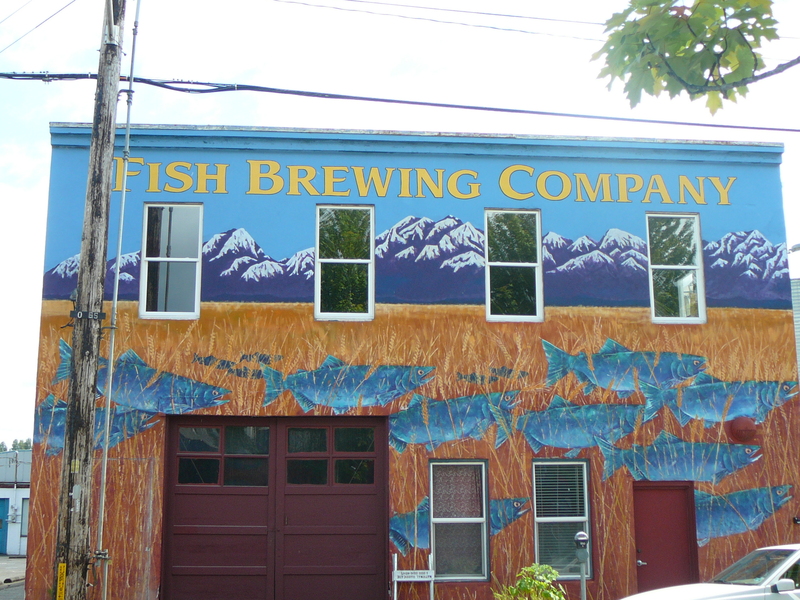 Located in downtown Olympia, WA Fish Brewing Company has been crafting beer since 1993 beginning with its first brand, Fish Tale Ales. The Brewery is housed in the historic Skoog Building which once housed the Olympia Knitting Mills. The building is beautifully adorned with murals making it very hard to miss. In 2001, Leavenworth Biers began brewing under Fish’s roof and in 2004 Spire Cider joined the group. At the turn of this century, Fish began brewing their Organic line of beers. 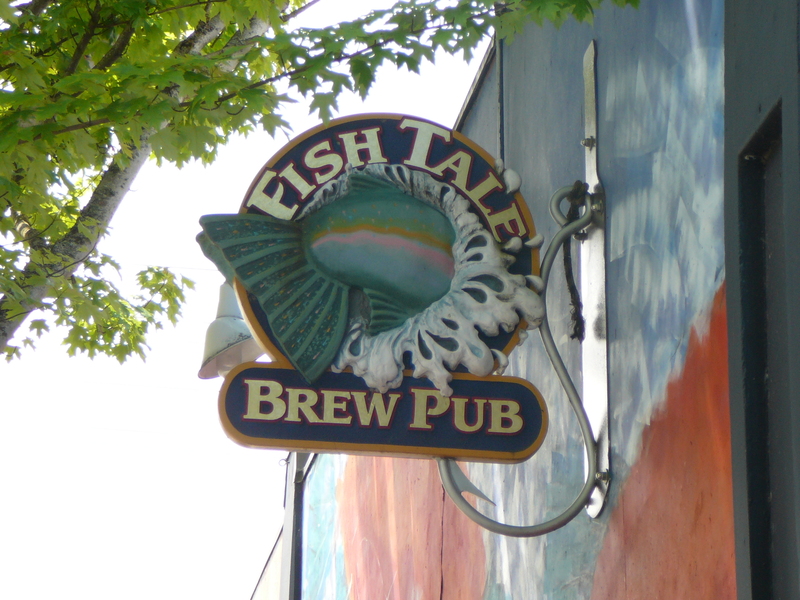 Located directly across the street is the Fish Tale Brew Pub serving Fish’s entire line of beers and ciders, and the food is to die for! The décor is simple and a little retro. They even have a “living room” where you can grab a book off the shelf and enjoy a brew. But first things first; let’s talk about the Organic line of Fish brews. just the right touch of citrus and spice. Organic Wild Salmon Pale Ale (5.0% ABV) – This lightly hopped gem has a beautiful caramel color and orange blossom aroma. Yakima Cascade hops and 4 organic malts balance this ale very nicely and it finishes crisp and clean. Yum! Organic Amber Ale (5.0 % ABV) – The first of the Fish Tale Organic line, the Amber Ale is sweet, malty and smooth with a lovely hint of hazelnuts. Fish creates this lovely amber using 3 different malts and Hallertauer hops. Organic India Pale Ale (6.7% ABV) – As many of you know by now, my hubby is a “hop head.” Well, needless to say this brew was his favorite. Dark honey in color this IPA has a beautiful hoppy aroma and taste thanks to New Zealand hops. There is a slight sweetness and wonderful clean finish. I really enjoyed this IPA. 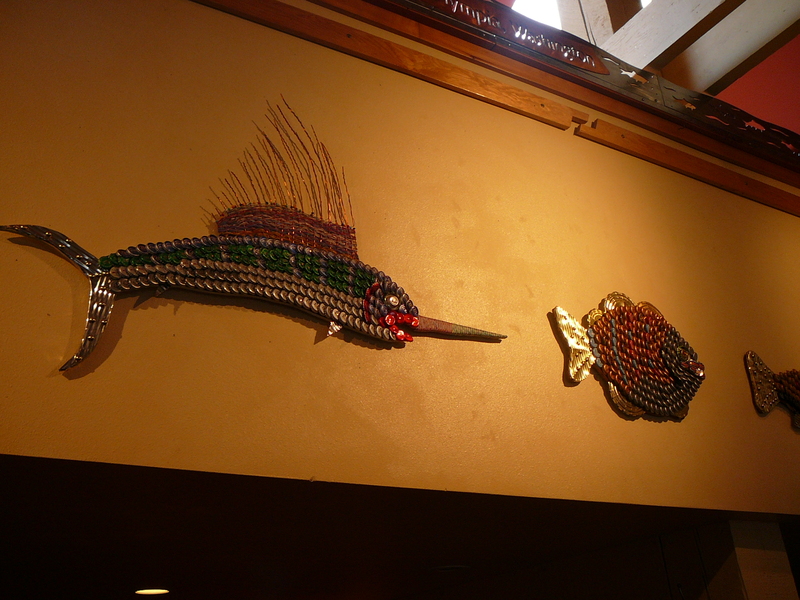 Fish Brewing also has an incredible menu with homemade, organic dishes and uses nothing but the freshest ingredients. They even make their own sausage! Hubby asked me which Organic beer was my favorite. I could not give him a definite answer because they were all amazingly good! Fish Brewing Company crafts the freshest, cleanest beer I have ever enjoyed and it is quickly becoming my favorite brewery in Washington State. I think I might need to make a trip out to SEA and visit you kids and all the awesome breweries you guys have out there!!! Have a good weekend with hubby!!! Thanks Pauly! Anytime you make your way up here we would LLLOOOVVEEE to see you my friend!